So, you have had a look at the site, love the prices and are keen to give it a go? Well if you still have some more questions, we have answered our most common ones here. 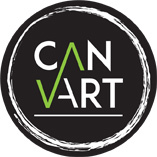 At Canvart, we don't just talk the talk, we walk the walk!! Check out our testimonials page to hear straight from our customers about some of the questions below. This is an easy question to answer. We strive for perfection in every aspect of our business and pride ourselves on providing that little bit extra in all circumstances. We make sure that you get what you pay for and more, and that is why our customers keep coming back! You will receive individual attention and expert advice and your best interests are always put first. We are photographers who print a lot of our own work as well, so we understand the importance of creating a high quality personal work of art at the right price. We have been printing photos onto canvas for years and love what we do, and know you will too! So why not become another one of our thousands of extremely satisfied customers today! Yes! You read it correctly, we will pay for all of the freight within New Zealand! We use a track and trace courier and deliver nationwide including rural and PO Boxes. If you are not in New Zealand, we also do international orders. Shipping costs depend on where you are, and the size of your order. Please contact us for a quote. Our aim is to have the print delivered to your door within 7 days of the order being confirmed. If you have a specific date that you need the print by, we will do our best to create it for you in a shorter timeframe. Do you send a proof? Before we carry out any printing we will email you a proof to make sure that you are happy with the way the picture will look on canvas. We currently accept payment via direct credit, credit card, eftpos or by cheque. Can you alter/retouch my photos? Yes, we are photographers with extensive experience in enhancing photographs. Depending on the amount of time spent, there may be an additional charge for this service, however any cropping and/or minor alterations will be free of charge with your order. To make sure that the print is protected as much as possible, we apply a couple of coats of laminate to your print which provides a protective coating against scratches, UV and moisture. Is there anything I need to do to my print? The print will arrive ready to hang on your wall. We will have given the print two coats of protective laminate and added a hook to the back. So your only problem will be deciding where to hang your new work of art! Can you print from a photo, negative or slide? If you don't have a digital version of your photograph, we are more than happy to scan the original photograph or negative for you at no extra charge. Your originals will be returned to you with your print. We work with all types of photographs, and you will struggle to find one that won't look fantastic on Canvas! We use the latest technology in Giclée Printing, using revolutionary Pigment Ink and high quality canvas for archival quality. We then stretch the canvas over a high quality kiln dried NZ Pine frame giving it a great 3D look. The final step in the process is a couple of coats of protective lacquer with UV and water protection to extend and enhance the life of the canvas. What Canvas do you use? Canvas is arguably the most important aspect of the print and we take it very seriously. We have selected the best quality canvas - that when combined with our inks will give you brilliant vibrant colours, a nice texture and an archival quality print that will last for years to come. Do you have 'Economy' Canvas? No we don't, basically because it is rubbish! We only use high quality canvas, and are not comfortable printing your photos on anything else. Not only are the economy canvases paper thin, they are a chemical smorgasboard containing optical brightener additives and fluorescent whitening agents. And even more importantly, they will not stand the test of time, and will yellow! We have invested thousands of dollars and many hours in colour management. Why, because we believe it to be very important. We want to ensure that the colours in our prints are not only vibrant, but also accurate. When you submit anything for us to print, please make sure that you are the person who has produced the photograph or artwork, or that you have permission to reproduce it. Please do not be offended if we ask you to verify the copyright on a photograph or artwork. If you have purchased photos from a photographer it might pay to check with them before going ahead with your order, as sometimes they retain copyright over the pictures. We will not do anything with your print other than print it for you. We will never use or sell your photographs without your express permission. We do store your files in case you would like additional copies of your print in the future, but can delete them if required. Copyright - Out of the Square Photography Limited.